Manfred Weber, the German head of the centre-right EPP group, the largest in the European Parliament, said on Thursday (13 July) that EU states and the Commission ought to “take measures against the Polish government”. He said it was “putting an end to the rule of law and democracy in Poland and leaving the European community of values”. 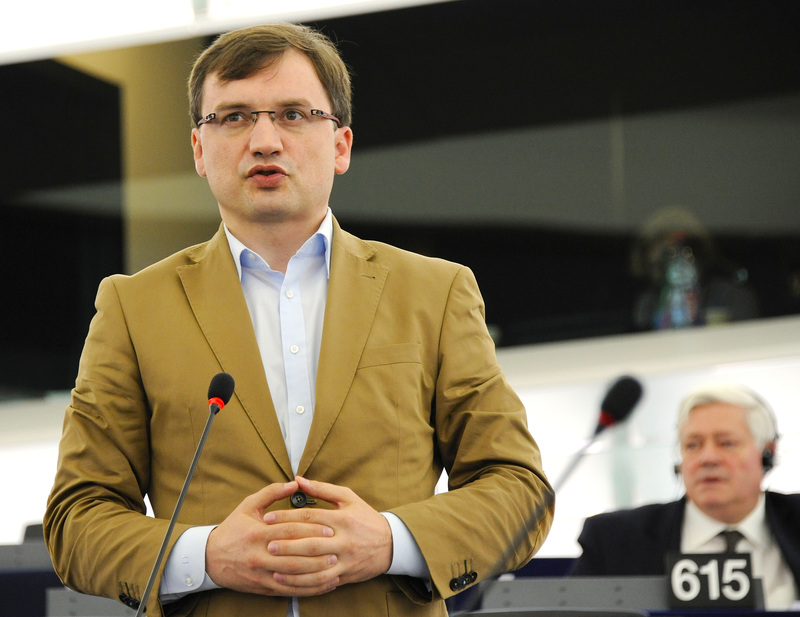 Guy Verhofstadt, a Belgian politician who leads the liberal Alde group, called for a special hearing with Commission deputy head Frans Timmermans and Polish justice minister Zbigniew Ziobro. The Council of Europe, a legal watchdog in Europe, also called the Polish changes a "major setback for judicial independence." Its human rights commissioner, Nils Muiznieks, said Warsaw did it in the teeth of “compelling contrary advice" . The outcry came after Poland’s ruling Law and Justice (PiS) party pushed two bills through the lower house on Wednesday. Its reform of the National Council of the Judiciary, which appoints judges, would give PiS the power to pick 15 out of the Council’s 25 members. A second bill gave Ziobro new powers over lower court appointments. PiS is also preparing a third bill, on the Supreme Court, which supervises lower courts, that would see all of its judges let go expect those whom Ziobro says can stay on. 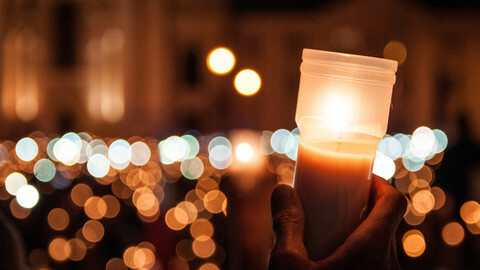 The bills must be passed by the senate and signed by the Polish president. But PiS has a majority in the lower and upper houses. Meanwhile, Andrzej Dera, a spokesman for president Andrzej Duda, who also hails from PiS, told Polish TV on Thursday that he “didn’t foresee a veto in these cases”. The MEPs’ outcry comes amid an existing Commission clash over a PiS plan to install loyalists in Poland’s Constitutional Tribunal, which screens new laws. It also comes amid broader EU concerns that Poland under PiS is drifting away from European norms and values. The party has turned state media into pro-PiS propaganda outlets. It faces EU court action over its boycott of EU migrant relocation quotas. 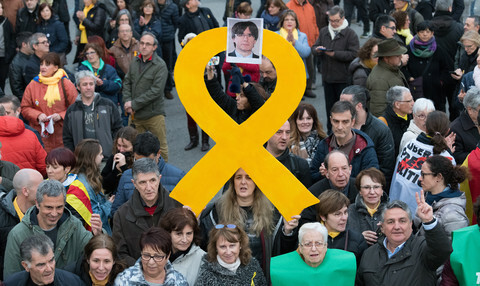 A Commission spokesman on Thursday declined to comment on the judicial bills, however. 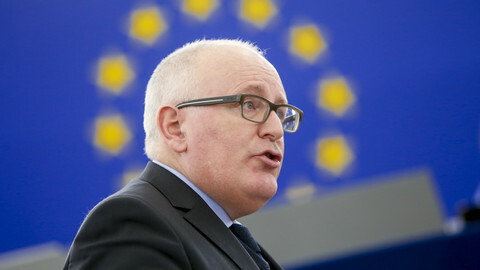 The spokesman, Alexander Winterstein, said a Commission rule-of-law monitoring procedure, which was earlier triggered by the Constitutional Court dispute, would take a look at the latest developments and that Timmermans might speak out later. 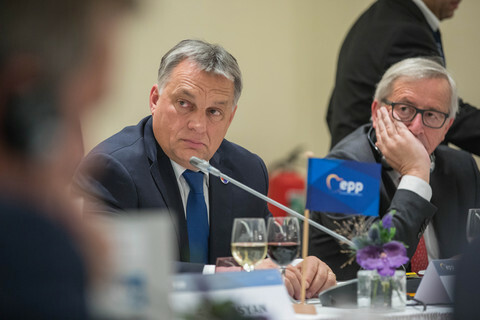 Winterstein rejected accusations that the Commission had been weak on Poland and on Hungary, which has also pushed through illiberal reforms. 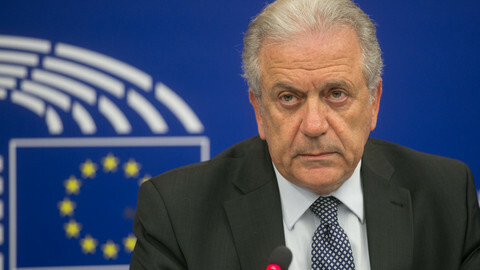 He said that when Hungary recently sent out an anti-EU pamphlet to its citizens the Commission publicly debunked its contents. “You can’t say the Commission isn’t making its positions clear,” Winterstein said. 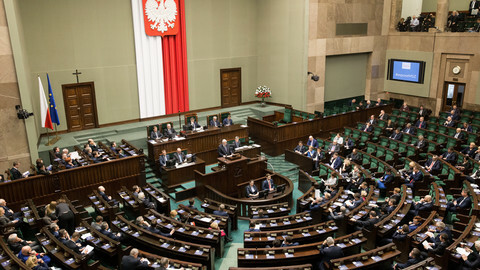 The PiS party defended its reforms in parliament on Wednesday. Deputy justice minister Lukasz Piebiak said the new system would be “more civilised, more of a European standard”. He said judges in lower courts would be assigned to cases via a German software programme that was “unbreakable” to hackers. Andrzej Matusiewicz, a PiS MP, said justice ministers in the Czech Republic, Germany, and Latvia also had powers over judicial appointments. Ziobro said it was right the ruling party should extend power over the judiciary because Poland was “a democarcy … not a court-ocracy”. 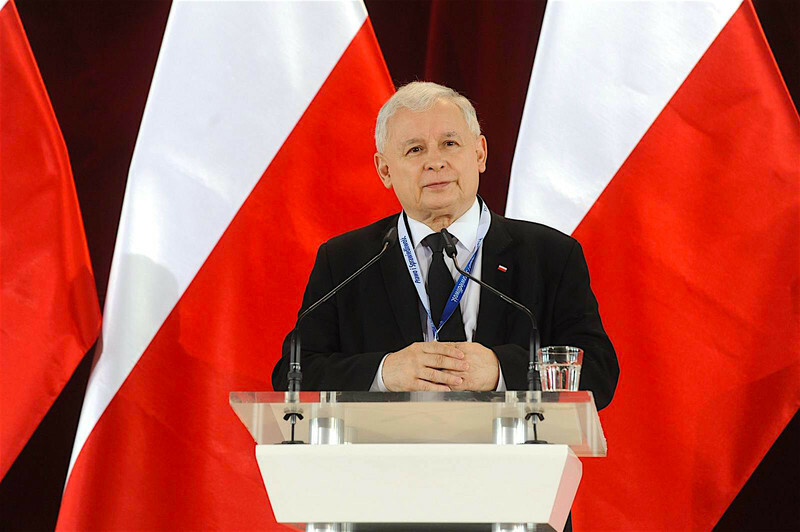 Jaroslaw Kaczynski, the PiS chief, did not speak out but was the target of opposition rebukes. Michal Szczerba, from the Civic Platform party, said everybody knew he was the “headhunter” who would get to name the 15 National Council judges. Kamila Gasiuk-Pihowicz, from the Modern party, said Kaczysnki, back when he was 39 years old, had fought the Communist regime, but that now, aged 70, he was “taking the path of dictatorship”. Borys Budka, a former Civic Paltform justice minister, said: “PiS won power by democratic means. By changing the law on the Supreme Court it wants to guarantee it never loses that power”. 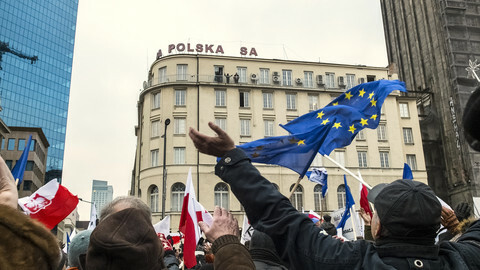 Pro-democracy demonstrators in Polish cities have raised an outcry over judicial reforms amid a toxic media campaign.